On July 9th, 2011, Team Croatia made their long awaited group-stage debut in the Cosmos Copa NYC. Even though they landed a difficult draw in defending champions Poland, tournament darkhorses Mexico and fellow newcomers Ivory Coast, Croatia was still feeling confident coming into the tournament on the backs of a strong showing in the qualifiers. Knowing that it was crucial to pick up the full three points in their first game versus Ivory Coast, Croatia came out firing from opening kick. The two teams were familiar with each other having come up against each other in the qualifying round, where Ivory Coast prevailed on penalty kicks. Maybe Ivory Coast had seen something in that qualifier that scared them of the Vatreni because the first half of the match was bizarre to say the least. Ivory Coast seemed to be playing for a tie as they resorted to blatant time-wasting tactics within the first ten minutes of the match, with their goalkeeper falling theatrically and needing treatment on three different occasions in only the first half. On the third occasion, the referee had finally seen enough and showed a yellow card to the Ivorian keeper for delaying the match. This sparked a round of cheers from the Croatian supporters in the stand, but also set off a furious round of protests from the Ivorian bench. Three other Ivorians were cautioned as they protested the decision and eventually the yellow turned into a red card for one of the players, as the team self-destructed in a matter of minutes. After showing the red card, the referee mercifully blew the whistle for half-time though it sparked some confusion in the crowd due to the chaos as to whether he had abandoned the match or it was actually half-time. After the break, Croatia came out energized and took control as Ivory Coast struggled to insert themselves into the game after losing a man. Croatian poacher Marko Loncar eventually scored the only goal of the game halfway through the second half with a beautiful back-heel to give the Croats a deserved 1-0 win to start off their campaign. Next up was Poland, the defending champions, who had just tied Mexico 2-2 in a surprise result. The Poles were in no mood to give away any more points this time around though and Croatia slumped to a 1-0 defeat after the Poles were able to effectively shut down Croatia’s dangerous trio of the Bistre brothers and captain Filip Loncar. An early Polish goal off a corner kick was enough to hold off a late onslaught of Croatian pressure. After getting word that Mexico had dispatched the Ivory Coast 2-1, Croatia knew it was do or die against the Mexicans in their final group stage game. Unfortunately, it was not meant to be for Team Hrvatska as Mexico came out flying scoring an early goal and never looking back en route to a 3-0 victory. Playing three matches in the span of six hours certainly took a toll on the Croats as they just ran out of gas in the end on a hot, humid day in Queens. 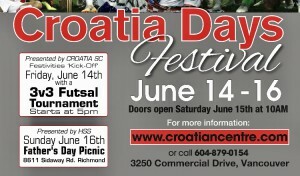 Overall though the tournament was a great opportunity for the Croatian community to get behind their boys, which they did with around 75 supporters coming out for the day and cheering their Hrvati on. There was certainly no shortage of checkers off the field – which made up for the shortage of checkers on the pitch. Tournament regulations required them to wear standard jerseys provided to them by Umbro, so unfortunately the checkers were only able to be worn for warm-ups. For the boys, it was a great opportunity and privilege to represent their country as this is not something that one gets to do everyday. 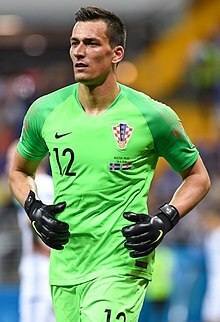 Everybody that I caught up with spoke about their pride at being able to put on their checkers and play for Croatia especially considering the fact that most of the team plays on different competing Croatian clubs in the local NYC leagues. Even though they didn’t qualify for the quarterfinals, NYC Croatia will certainly be back next year even stronger. Fantastic job Rob! Glad to have you on Team CSR going into the new website. But we gotta get you a mic! Getting it up within 72 hours aint bad. Remember, Sunday is a day of rest…. 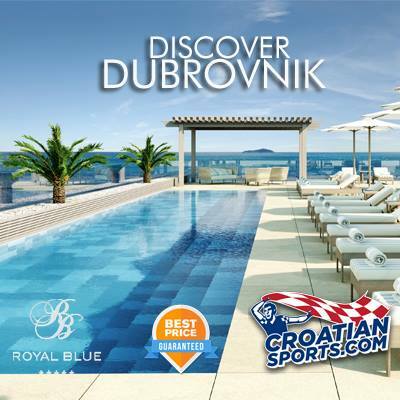 Hajduk rumors to take over former Liverpool sponsorship. they are not taking over anything. It's the same beer that sponsored Liverpool and they plan to sponsor Hajduk, although not as the main sponsor. We need to get this guy a MIC. Great job Rob! Your interview got better as the time went on. Yes, we need to get you a mic! thanks for the link. Karlovacko and Ozujsko have already been sold. Sadly, everything quality in Croatia is being sold.